Angkor Chom offers simple but clean bungalows with local, rustic charm. Angkor Chom Bungalows give the chance for guests to experience life in a small Cambodian village while still enjoying the pleasures of beachside living. Angkor Chom is part of the small Sok San Village, and there’s not much else around. It’s run by the village chief, Mr. Chrouk (chrouk means “pig” in Khmer, it’s a nickname), and his family. The bungalows and rooms are rustic, but the family takes pride in their business and is a great place to spend a few days relaxing. On the sands of Sok San Beach, Angkor Chom Bungalows offers a beachside Cambodian village experience. 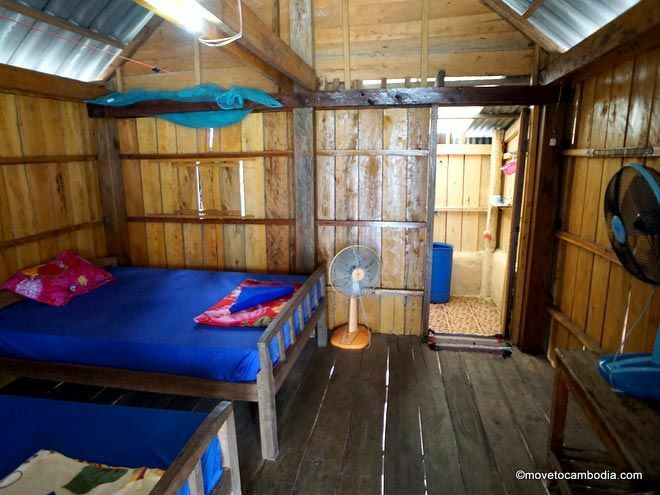 The bungalows are simple wooden structures that contain two beds with mosquito nets, two chairs, and a table. There are two fans, and the bungalows have 24-hour electricity which is a nice in the hotter months. Each has its own private bathroom with overhead shower and scoop toilet. All of the bungalows have their own private balcony with hammocks and lounge chairs overlooking the water. That’s an understatement — at high tide the sea laps at the bungalow support beams, making the balcony an ideal spot to enjoy Koh Rong’s gorgeous sunsets that can be seen on this side of the island. 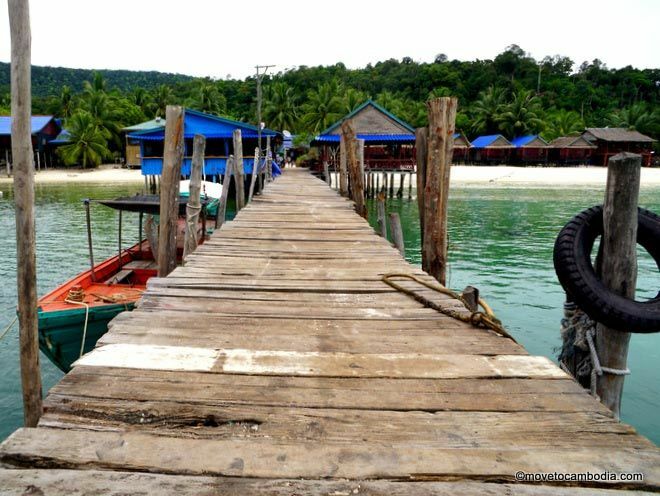 We discovered Angkor Chom when we traveled to Koh Rong six years ago to write reviews for a travel guide. 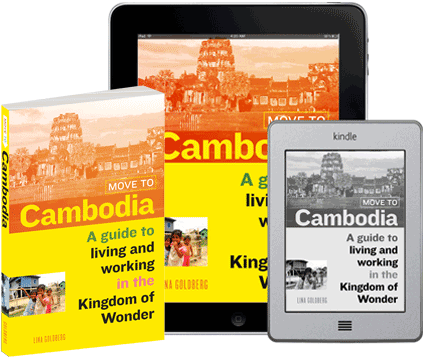 We visited the neighboring bungalows further down the beach and when we wandered toward the village, we discovered that the village chief had set up his own bungalows overlooking the waters next to Sok San Village — the beginnings of Angkor Chom. Mr. Chrouk can also organize boat trips, fishing expeditions, and moto rentals. Angkor Chom has now opened a less expensive guesthouse in Sok San village with simple wooden rooms for those on a budget. The guesthouse is only a five-minute walk from the beach and has a large shared balcony that’s perfect for kicking back and relaxing. The simple wooden rooms have a double bed with mosquito net, fan, and a window, some of which have sea views. For the rooms the bathroom is shared. If you’re staying at Angkor Chom, you can get wifi at their restaurant located on the pier overlooking the water. There they serve up inexpensive Khmer dishes, many of which are made with freshly caught seafood brought in each day by the village’s fishermen. The Angkor Chom pier where you can gorge yourself on local seafood. Angkor Chom is not the place to go to if you’re looking for luxury or to party. 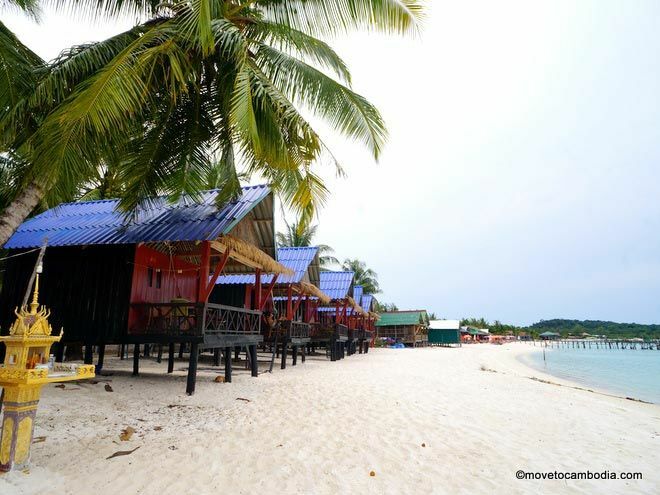 (That’s on the other side of Koh Rong, in the Koh Toch area). 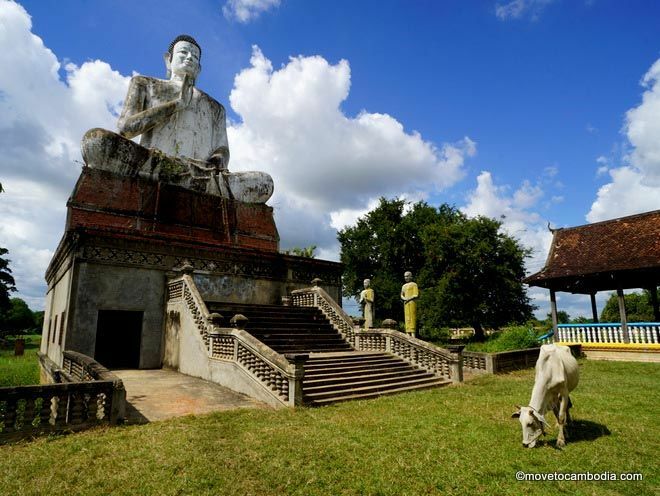 But if what you seek is a quiet, no-frills place to relax, it can’t be beat, and in fact, is nicer than most of the other comparable options in Sok San. Reservations are best made online, either on Booking.com or Agoda. Prices can differ by a few dollars, so check both.